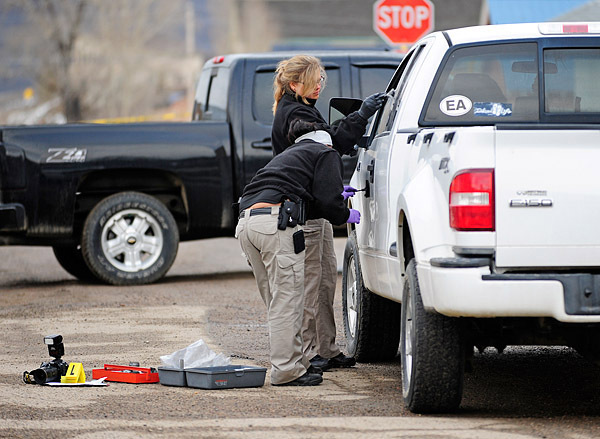 HOT SULPHUR SPRINGS – The fatal shooting of a man late Monday night by a Grand County Sheriff’s deputy took place in front of a home owned by a Grand County deputy district attorney and a Grand County sheriff’s officer. At least two people witnessed the shooting. One woman – whose home was cordoned off across the street from the Riverside Hotel on Tuesday morning – said outside her home that she saw the incident take place. 9News, citing unidentified sources, reported this morning that Heather Stein made the 911 call and also fired at least one shot at the man who was killed. The Sky-Hi News has not been able to independently verify her involvement. 9News broke the story on its website last night.